What does the U.S. government’s new America First policy mean for the U.S. and what does it mean for the rest of the world? Members of IESE’s U.S. 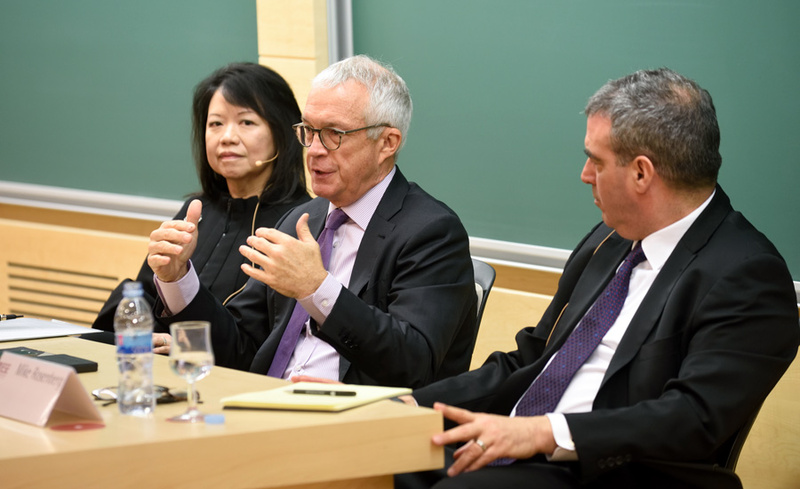 Advisory Council (USAC) met with MBA students on the Barcelona campus recently to give their take on America First, the seismic shift in U.S. policy priorities under President Donald Trump. The members of USAC, created in 2010 after IESE expanded with a campus in New York, were in Barcelona for their annual meeting. 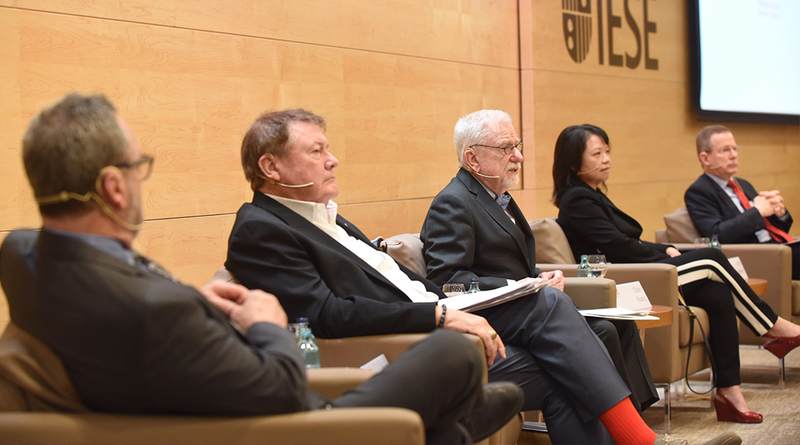 As the speakers pointed out, similar policies have existed for decades if not centuries in the U.S., brought forth most often as an argument to avoid U.S. involvement in wars overseas. But Trump has taken America First to new levels, making it the theme of his inaugural address and using it as the foundational stone of policies that range from capping immigration to imposing trade tariffs to eschewing long-standing ties with allies around the world. Claire Huang, another USAC member, was optimistic that America First policies will correct imbalances in trade and elsewhere, creating a more equitable domestic economy. “There’s a backlash that says: We keep helping everybody around the world, but how about helping ourselves? How about fixing our own problems?” Huang said. And she noted that while the traditional economic influence of the U.S. may be waning, its global prominence in areas such as culture, technology and innovation remains unmatched. 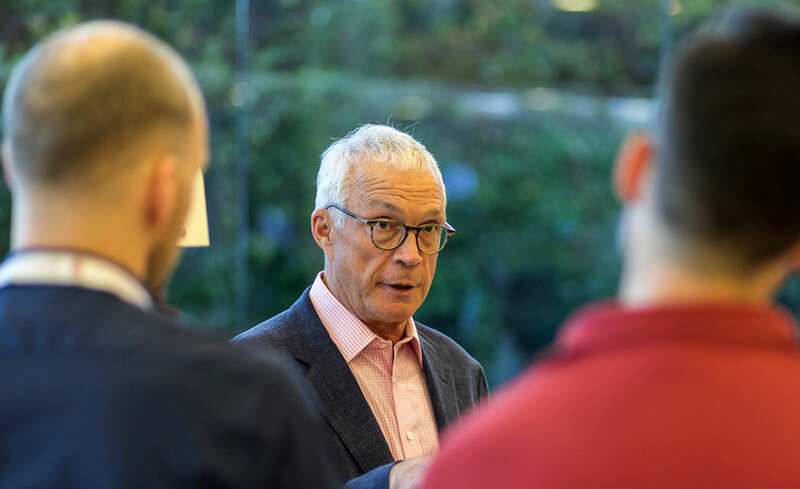 But for Alan Glazen of private community development company Glazen Urban, a world in which the U.S. is not a guiding light of democracy and freedom is a necessarily bleaker world. He’s skeptical the America First policies will benefit the American people, and his understanding of patriotism is another. “I think there’s a form of patriotism that transcends borders,” Glazen said. Meanwhile, the ebbing role of government as a source of moral authority puts new demands on business and other areas for ethical leadership.